Spencer's Turn for a Text! Did Spencer get her own text now? Guess we'll find out on "Run, Ali, Run." 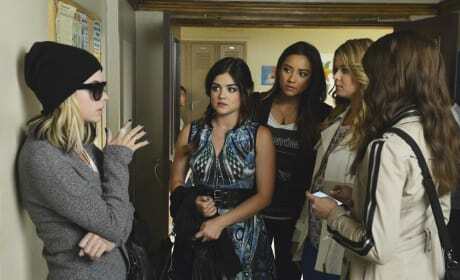 Is this Hanna's new hangover outfit? She'll be wearing it a lot, I hear. Ali stretches her arms farther away. What the heck is on the phone?! 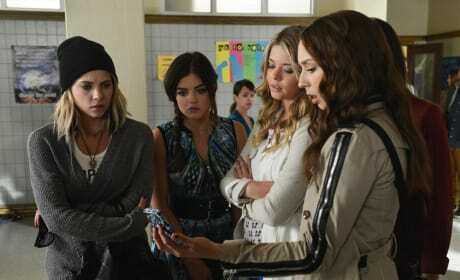 The Liars are intrigued with Ali's phone in "Run, Ali, Run." 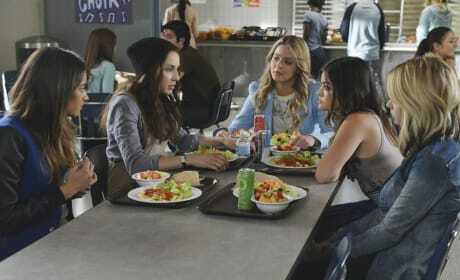 Ali sits at the head of the table. What does that say about her resumed position of Queen Bee? 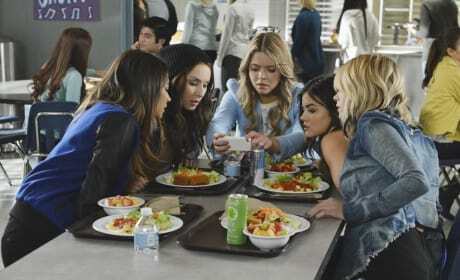 The Liars are intrigued as Ali looks at her phone. Did she get a text? Watching a video? Ali is perfecting her downward gaze, this time on Spencer. 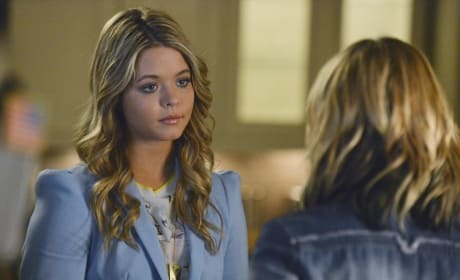 Where in the heck did Ali get this outfit anyway? The 1977 Sears Catalog? 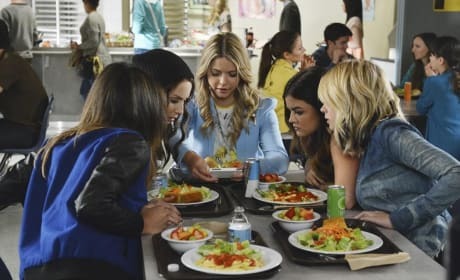 The Liars are blue and wearing it as well in "Run, Ali, Run." 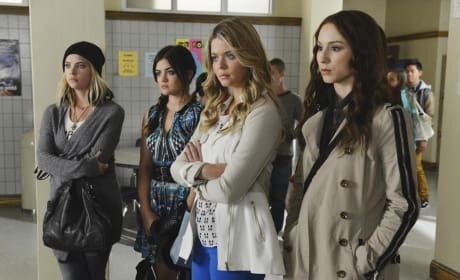 This is one morose group of Liars from "Run, Ali, Run." 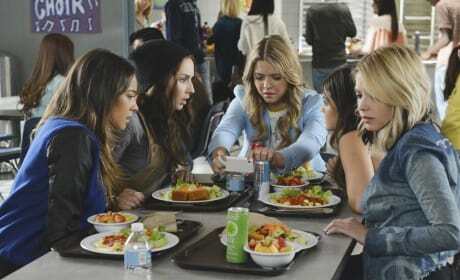 Looks like the conversation is over, if the look on Ali's face is any indication!